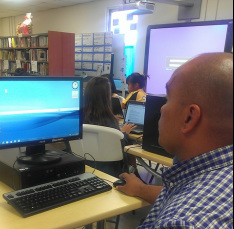 Forms - Welcome to the Luis P. Untalan Middle School Wildcats Library! Please find the appropriate form for you at the GDOE website or below. Students must review this form with their parents and acknowledge understanding its contents by submitting the signed form in their planners upon request. Employees must submit their Acceptable Use Policy Forms to GDOE Personnel Office.